Elsevier is delighted to announce that SSRN, it’s early stage research platform, has launched the Materials Science Research Network – MatSciRN. 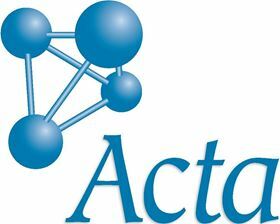 Elsevier are also delighted to announce that their publishing partner, Acta Materialia, Inc., an international consortium of materials science societies and organizations, is sponsoring this new, open materials science research sharing space. MatSciRN is an open platform that provides a venue for researchers to showcase early stage versions of their research, to share them in an open and free environment, and to speed up the dissemination of their research. It also provides readers access to groundbreaking work before it has been published. MatSciRN actively welcomes all papers in any area of materials science that authors wish to share. For the past several years, SSRN has been at the forefront of providing an open-access repository for sharing papers in progress, and MatSciRN is the first SSRN network dedicated solely to materials science. provide readers with an insight into ground breaking work before it has been published as well as post comments on the work.